We all love a burger don't we? Well I know I certainly do! 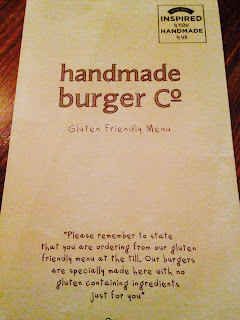 So when I heard that HandMade Burger had launched a Gluten Free Menu I had to try! 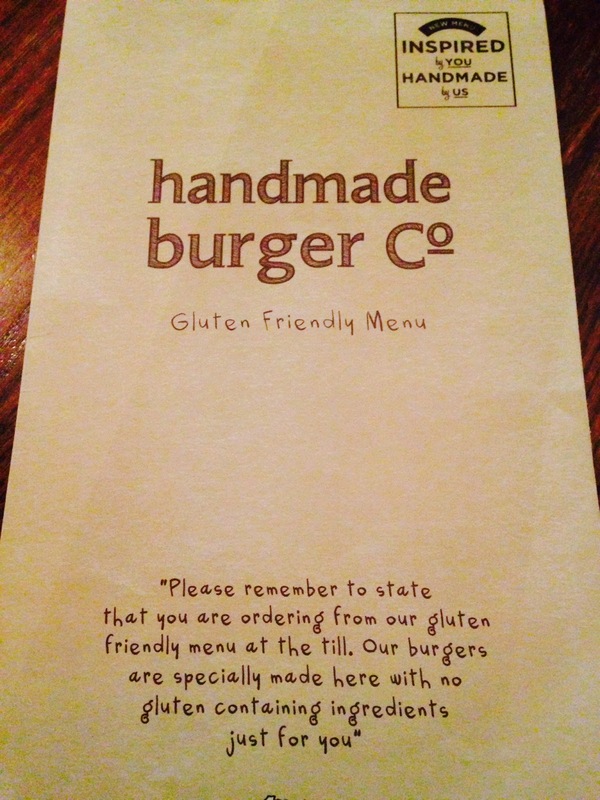 I spoke to someone from the company on twitter at, @HandMadeBurger , and they were so lovely, they even sorted out the booking of the table for me and assured me that the team in the restaurant would know that I wanted the Gluten Free Menu. 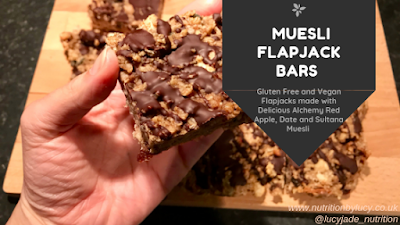 When I arrived the waitress had our table ready and waiting for us, and she was very helpful, answering all of my questions about the Gluten free processes with ease. 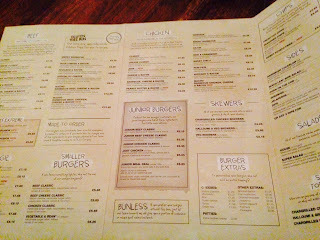 She handed me the menu and I was impressed that it was in the same format of the other menu and not a folder with pages and pages to flick through. I decided to try the Peanut Butter and Bacon burger, trust me I was a bit wary but you've got to be adventurous every now and again haven't you! The above picture isn't the best quality I know but I was just too excited to dig in! I'm really impressed that the bun was separately wrapped so that there was no chance of cross contamination and it was so soft and yummy you couldn't even tell! For all of you Dairy intolerants out there, I asked for a breakdown of the allergens in each food and the waitress was more than welcome to provide one. All in all I would suggest this for any Gluten or Dairy sufferers. 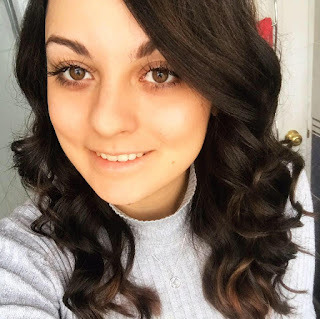 The staff are so accommodating and so well trained in allergens and I was very impressed.